Some called it blackmail, but right away when it was apparent that AT&T was holding back Apple's FaceTime over cellular to customers using its Mobile Share plan, both Verizon and Sprint backed away from such a scheme. Actually, there really wasn't much of an uproar from AT&T's customers who seemed resigned to the fact that if they wanted to use FaceTime over cellular, they would have to sign up for a shared data plan. We're not sure if it is this time of the year when everyone is jolly or the fact that Verizon and Sprint refused to follow along, but AT&T has flipped as well as any political candidate and is opening up FaceTime over cellular to non Mobile Share customers. Before you start celebrating though, to use the video chatting service over a cellular network, AT&T requires you to have an LTE enabled device with a tiered data plan. So that means the third-generation Apple iPad, the Apple iPhone 5, the Apple iPad mini and the fourth iteration of the Apple iPad are the devices you must have to use Face Time over cellular without a Mobile Share plan on the nation's second largest carrier. For AT&T, there will be no more talk that the carrier would be investigated by the FCC for violating net neutrality rules, and it puts the mobile operator a little closer to being on an equal footing with Verizon and Sprint. 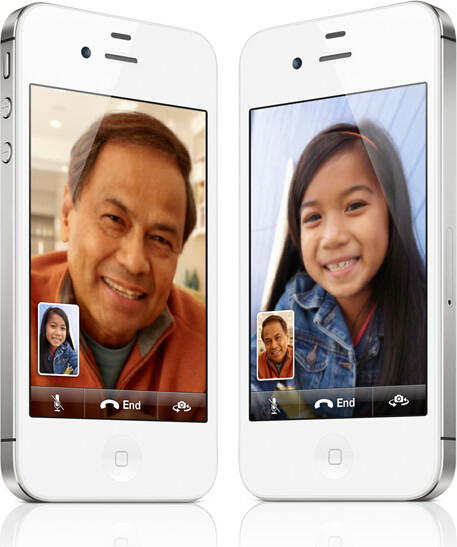 Which leads us to the obvious conclusion that those AT&T customers with the Apple iPhone 4 and iPhone 4S who want FaceTime over cellular will have to either upgrade to the Apple iPhone 5, or switch carriers. AT&T must feel confident that these subscribers will go for the upgrade. Depends on your service area. I know here in Columbus, OH, we don't have LTE and SpeedTest comes back with speeds around 3-5mbps. When I was up in the Akron-Cleveland area where there is LTE, I got speeds upward of 20-25mbps. FaceTime looks great there. Nice rhyme! You should become a rapper! So, will those who switched to a share plan to utilize face time be allowed to get their old plan back? Also, those on grandfathered unlimited still won't be allowed? 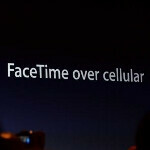 Basically, if you have any plan other than the Unlimited plan, you can use FaceTime. AT&T wants you to pay for using more data. They also want to limit Unlimited Data users to get them to switch. I'm wondering what will happen when the iOS 6 jailbreak comes out and you can trick the iPhone into thinking it's on wifi. I don't know about how likely you may get your unlimited plan back, but I wouldn't expect you can. Depends on your persistence. As for returning to your old plan, if it's still offered (i.e., not grandfathered) you can return to it. AT&T allows you to switch between Mobile Share and its traditional plans. I'd wondered by AT&T required the new plans originally. Must be more profitable at first thought. Maybe they were wrong.